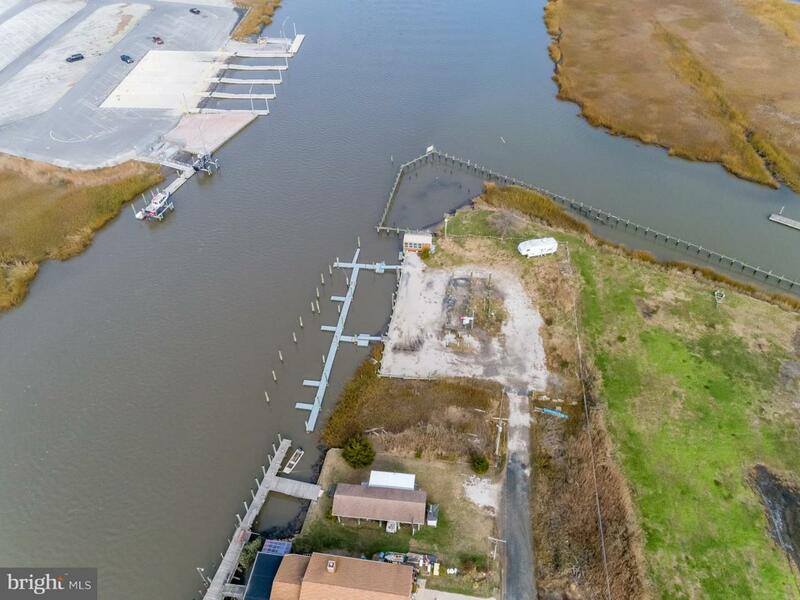 This 10 slip marina offers stunning and panoramic views of the Delaware Bay. Fronting on Cedar Creek in a protected location within 5 minutes to the Mispillion Inlet and Delaware Bay. Located at the proverbial end of the road with floating docs that were resurfaced in 2015 along with recent pilings and bulkhead. There is a gazebo with a shower room and rest room as well as a gathering area. Pilings and a 4400 gallon holding tank for an elevated, 3200 square foot 2 1/2 story home were also installed in 2015. Where else can you have a waterfront home with your boat docked on your own property with the potential of rental income of up to $250/night per slip! Wharf zoning allowing almost any water related activity, residential dwelling, possible head boat location, jet ski rentals, and boat sale or rentals....The sky is the limit! The sale includes 2 separate lots, 330-05.00-38.00 and 330-05.00-39.05. All lot dimensions and taxes are a combined total for both lots.